A rideshare driver was giving a ride to two men in San Antonio when they started shooting at him and took his car, police said. SAN ANTONIO — A second arrest was made in the shooting and carjacking of an Uber driver on Thursday. Detectives allege 25-year-old Joe Albert Gover is one of two men who attacked Kim Troy Williams in the 7400 block of New Laredo Highway, after using an Uber gift card to arrange for a rideshare pickup by Williams. Gover faces aggravated robbery charges, police said Sunday. This comes after 18-year-old Jesus Jerimia Luna was arrested Friday night. Luna also faces aggravated robbery charges. The affidavit alleges that Gover and Luna can be clearly seen on surveillance videos from three separate southwest side business locations. Gover can be seen wearing a distinctive black, white and red jacket, according to the affidavit, while Luna is wearing a red hoodie style jacket. In addition to an aggravated robbery charge, online county judicial records indicate Gover is also facing one count each of evading arrest, possession of a controlled substance and unlawfully carrying a weapon. His bonds total $155,500. The affidavit states both suspects were captured on surveillance video getting into the victim’s car. Moments later, investigators say, Williams was shot. Detectives detail how Williams was able to tell the first police officer on scene about the attack, describing both a man wearing a red hoodie and another assailant who had tattoos on his face. Detectives said two people who have known Gover most of his life viewed the surveillance images and confirmed his identity. Police have not released details about how or where Gover was arrested. Family members say 51-year-old Kim Troy Williams is still fighting to survive critical injuries after the carjacking and shooting. Details about his condition are being posted to an online support campaign for the father of two daughters who relatives say is the sole breadwinner for his family. According to a Facebook post by a friend of the Williams family, Kim troy Williams is expected to be out of the ICU in early April. He is walking a little and is even telling some jokes, the post said. The affidavit for Luna's arrest states he and another man were caught on camera at three different businesses just moments before the shooting. 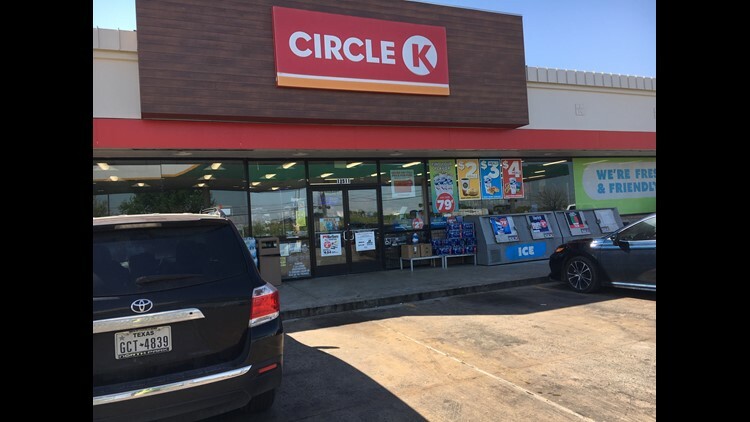 On Thursday, shortly after the shooting, officers were spotted at the southwest corner of Loop 410 and Palo Alto, scouring a motel, a Jack in the Box and a Circle K.
Detectives said Luna can be seen on a surveillance camera walking into the convenience store and purchasing the Uber gift card he used to access Williams’s rideshare service. The affidavit goes on to detail how Luna bought a lighter, which is when a clerk asked for and scanned his identification. It was the capture of that date of birth that allowed detectives to track Luna down, as he had a previous run-in with the law. The affidavit states detectives showed Luna's probation officer their evidence and the officer made a 90 percent positive identification of the suspect. 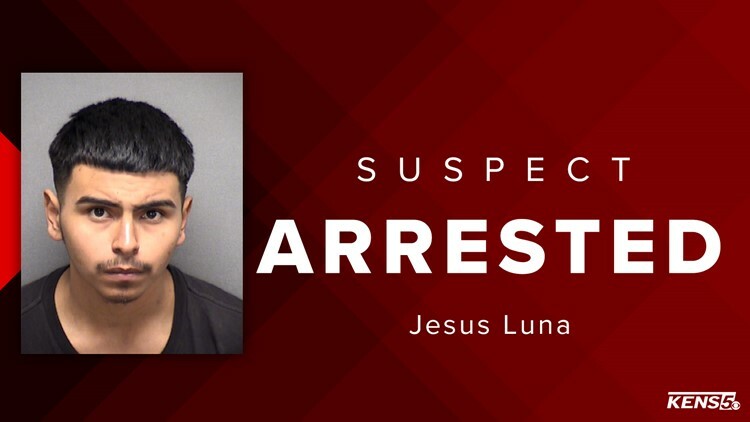 Bexar County criminal records indicate Luna was previously arrested on July 23, 2018 and charged with unlawfully carrying a weapon. Records show he entered a no contest plea, and was given deferred adjudication and fines totaling $507. Detectives also detailed how the victim was able to give the first arriving officer a description of his attacker, information that matched the surveillance video that captured a man wearing a red hoodie. The affidavit also states that the man wearing the red hoodie and another man can be seen on surveillance video getting into Williams' car. That event and the shooting unfolded just minutes apart and about 11 miles away. A police spokesman said detectives are not sure if Luna or the other suspect shot Williams, but under the law of parties, participation in the crime is enough for investigators to pursue the charge. It is unknown whether Luna also will have a hold placed on release related to his previous conviction and probation. 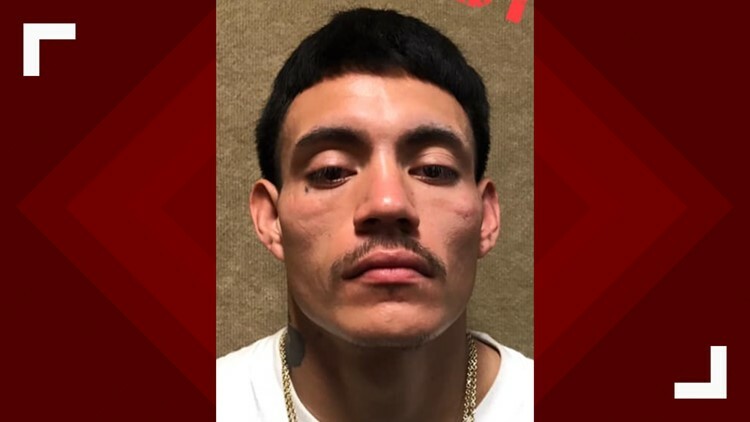 An SAPD spokesperson said the arrest of Luna, who the affidavit states lives in the Sky Harbour area, was made without incident by the SAPD SWAT team and Robbery Task Force. Meanwhile, Gover was already out on bond and awaiting indictment on a previous charge, according to court records, when he was arrested Saturday night in connection with this crime. Judicial records indicate Gover was also arrested on January 29, 2019 and charged with possession of a controlled substance. Online court records reveal Gover has also faced charges in the past for assault bodily injury, interfering with the duties of a public servant, burglary of a vehicle and possession of marijuana.